With all of the chaos and heartbreak that these floods are bringing to our communities this winter it is mindful to think of small businesses and how their closure will effect so many lives. 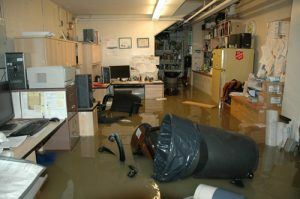 Wondering how to prepare your business for flooding? Read this article to find out. For example, owners are concerned about the effect of the floods on their stranded employees. We discussed how they are communicating with employees, paying staff and managing the knock-on effect of personal survival. We talked about the importance of keeping the employees updated with the business situation at regular intervals. Do you already have business interruption as part of her overall insurance package? This would mean that employees would still receive a wage while the clean-up operation was taking place. As a high proportion of employees were also suffering with personal flooding problems, we advise on local flood support information, such as volunteer sites, Citizens Advice Bureau, food parcel support offered by Asda, bank support for mortgage repayment holidays and council tax payment issues from the local authority. Other businesses might not have been flooded themselves, but have still been affected because their subcontractors are underwater, or the roads around them are closed, for example. They might not think to call us, but they should, as we can give them advice too. If your business is looking for information on how to prepare your business for flooding and you need advice on how to manage your situation. Please give us a call on 0800 652 2610. This entry was posted in blog on January 8, 2016 by admin.